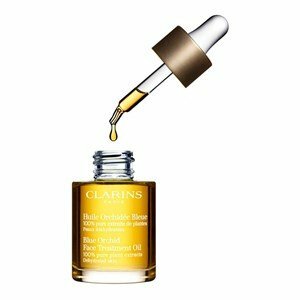 Oil for the face of Clarins, the anti-aging care for dehydrated skins! The deep moisturizing coming directly from nature! The Hazelnut Oil prevents dehydration and the formation of fine lines! Hazelnut Oil: Prevent the radicals of the skin. 100% pure extracts of plants! Apply at night, on the skin moistened by the Lotion Tonique avoiding the eye contour. Insist on the wrinkles and cheeks.